In 2013, Troy joined the Minnesota chapter as a local trainer. He delivered its first series of workshops, and will now lead the Chapter as Executive Director. People are strewn all over the courts, lying face up, or standing stock still. It is as quiet as a graveyard. But it might be the most alive minute of the day at TLC. Carrie Ruckle recently joined PCA-Minnesota as the Partnership Manager. Carrie will be establishing partnerships with youth sports organizations, high schools and colleges. Target Field was bursting with energy for youth sports at Breakfast with the Champions event on May 9th with 300+ in attendance. Unfortunately, youth sports are growing and the percentage of new and retained officials are shrinking across most sports. PCA-Minnesota can be the unifying body that brings it all together and provides the tools, training, and support to put it in motion. Positive Coaching Alliance- Minnesota recently participated in the 2018 Super Bowl to discuss health and safety at all levels of sport. The first-ever Minnesota Sports Awards is a gala event that was held on December 13, 2017 at Target Center and celebrated the best of sports in Minnesota over the past year. Unfortunately, we are seeing more and more overuse injuries in children due to sport specialization. Children's bodies are different than adults. Each time I do a PCA workshop, a different strategy seems particularly relevant. And not just in sports, but in student-athletes’ lives. His philosophy that “good things happen if you do good things with good people” has made him instrumental in establishing the strength and flow of the PCA-MN Chapter. What Is Neuropsychology And What Is Its Role With Athletes? Neuropsychology is a specialty of psychology that is concerned with how the brain and the rest of the nervous system influence a person's cognition, emotions and behaviors. Tex Ostvig explains how participating in our organization’s national Trainers' Institute will help him hone his message for your school or youth sports organization. We have a group of talented and inspiring individuals, and we’re thrilled to introduce you to our latest addition, Carrie Tollefson, Elite Middle Distance Runner, and Olympian. PCA Trainer Brian Swan hit the high notes on key PCA messages during this interview on Morning Buzz. The Fourth Annual Breakfast with the Champions was held Tuesday, May 9th at Target Field. The event featured Chad Greenway as the guest speaker for the event. PCA-Minnesota caught up with past Triple-Impact Competitor® Scholarship Winner Carly Waggoner to find out what this amazing student athlete has been up to since graduating HS. All are shining example of coaches who strive to win while pursuing the more important goal of teaching life lessons through sports. 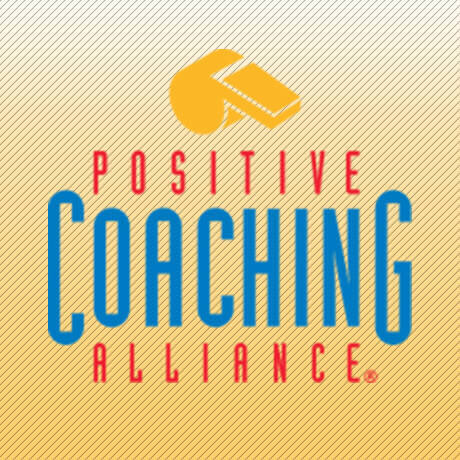 Positive Coaching Alliance-Minnesota will be packing up our St. Paul office and moving to a new location! As coaches we are privileged to spend time with our players throughout the season. In some cases, for several seasons. PCA is always looking for ways to expand the curriculum, taking into consideration current events, challenges that exist within sports cultures, and feedback from various chapters. One of our favorite things at PCA-Minnesota is honoring the outstanding local youth athletes that are making positive contributions to their sports and communities. The positive feedback after their first workshops spoke volumes and Coach Ogorek has implemented strategies with his team. Two PCA-Minnesota supporters were honored at National Girls & Women Sports Day’s Minnesota Celebration on February 1st, 2017. PCA-Minnesota’s mission to provide support and education to coaches, parents, and athletes is offered through a mix of live workshops and online courses and resources. This year brings a newly established Advisory Board consisting of past Board members, high profile & well-respected Minnesota sports icons and professionals to support our chapter. This message was recently sent to the Positive Coaching Alliance-Minnesota office and speaks volumes. Enjoy! Consider the year’s best and worst news from the world of sports through a PCA lens and let us know your views by commenting in the “start the discussion” field. Our event at U.S. Bank Stadium on Nov. 14 was a huge success, drawing more than 200 guests, who helped raise nearly $50,000 for PCA-Minnesota. We are partnering with Player’s Health, a mobile platform that enables real-time communication between coaches, parents and healthcare providers to identify health of athletes. Although painful and frustrating, my injury taught me to slow down before I get injured, not after. PCA-Minnesota is excited (and lucky!) to introduce Amy Sinclair as its new Executive Director. Effective September 22, Sinclair will take over Deborah Edwards’ position. The Wiffle Ball Classic’s road to Target Field was a journey through heat, sun, sweat, grit and grime; it was laden with confidence, fear, glory and defeat. Watch Joel Maturi, PCA Trainer and former AD for the University of Minnesota, discuss how Positive Coaching Alliance makes Better Athletes, Better People on FOX Sports North. Deborah Edwards has been the Chapter Executive Director of PCA-Minnesota since 2013. Welcome Deborah to her new role as Director of Field Operations! The Breakfast with the Champions was a huge success, drawing 240 attendees and raising $50,000 to put toward a growing workshop schedule and Triple-Impact Competitor® Scholarships. The latest column by Hal Tearse - PCA-Minnesota Advisory Board Member, long-time PCA supporter, Let's Play Hockey writer and Hockey Minnesota Coach-in-Chief. In the run-up to Rio, local Olympians starred at our 2nd Annual Youth Sports Summit, titled “Minnesota Gold.” Here are event highlights and insights. It was Carlson’s running buddy who suggested she get involved with Positive Coaching Alliance. “I really believe in mentoring young people, but doing it in a motivating way." PCA takes great pride in the spontaneous, unsolicited feedback we receive from workshop participants, like this one from a parent who attended a workshop in Minnesota. PCA-Minnesota plays a prominent role in this airing of FOX 9 Community Connection. Hal Tearse shares his latest “Between the Lines” column on the cost in dollars and “sense” for parents who pay for their children’s off-season sports training. Gather your friends, family, and business partners for this informative and inspiring event, slated for June 14. Meet the winners of Double-Goal Coach® Awards from PCA-Minnesota, including one who became one of the 50 national winners of PCA's Double-Goal Coach Award Presented by TeamSnap. The latest column by Hal Tearse explores the topic of early sport specialization and year-round play. Highlights from our annual Impact Luncheon event.